I'm Jay, Let's Play, by Beth Reichmuth and Nomy Lamm, is a sweet story about Jay's morning at preschool playing with friends. Jay loves playing in the kitchen, driving dump trucks, twirling in skirts and crashing tall towers. Jay, Ren, Finn, Casey and Riley are dynamic kids with exciting ideas -- probably a lot like any preschooler you know and love. I'm Jay, Let's Play models gender fluidity as a normal and delightful part of the lives of young children. Rather than gendered pronouns, the characters in this book are referred to by their names. Their styles and interests are equally open-ended. 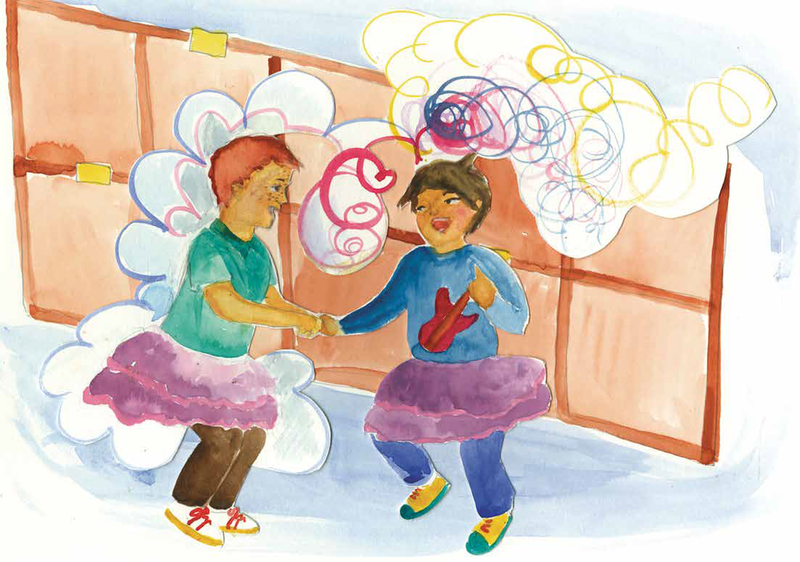 To support adults in navigating the conversations that may arise, a note in the back of the book offers some suggestions of simple, inclusive, developmentally appropriate messages about gender for all young children. Gender expression can be playful. It can be dynamic. It can be joyful. And in I'm Jay, Let's Play -- it is. In June of 2016 this crowdfunding campaign closed successfully. Thank you to all who offered your support. I'm Jay, Let's Play will be available for purchase in May 2017!